Having grown up in Champagne, I spent time in the vineyard and the wine cellars of the region for years to meet local winemakers. I also worked seasonally in the family vineyards in Savoie to better understand the craft wine making process. Over the years, I have developed a particular interest to alive wines respectful of producers and consumers. 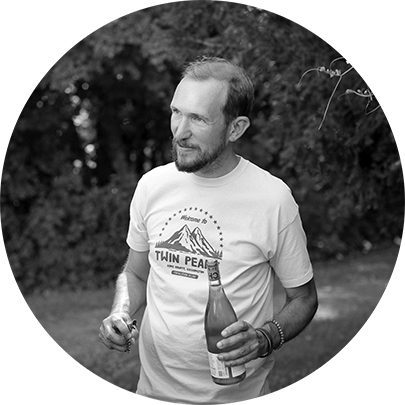 Member of the French Movement for Biodynamic Farming (Mouvement pour l’Agriculture BioDynamique, MABD), I am interested in the rise of biodynamic growing in viticulture for many years. Today, I want to share my interest and answer all questions that arise around this topic. I will do so, in situ, in the vineyards and presenting terroir-driven Swiss wines. Together with talented winemakers, I will be pleased to guide you through your journey to discover natural viticulture around the Geneva Lake and discover Swiss wines.